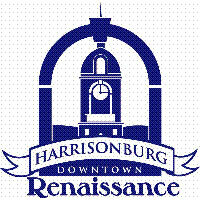 A fireworks spectacular will cap off First Night Harrisonburg at midnight on Monday, Dec.31. The aerial display will be set off of the Cassco Ice Building located at 217 South Liberty Street. It is recommended that viewers stand in the Municipal Parking Lot and Turner Pavilion & Park areas for optimal viewing. First Night Harrisonburg is a mega mix of live musical acts and entertainment at more than 15 venues throughout downtown Harrisonburg. Coupled with interactive kids’ activities, comedy and theater performances, and a grand finale fireworks display, First Night Harrisonburg is the largest family-friendly and alcohol-free New Year’s Eve celebration in Harrisonburg. The public is invited to follow First Night Harrisonburg on Facebook (www.Facebook.com/FirstNightHarrisonburg) and Twitter (@FirstNightHburg). For more information, visit www.firstnightharrisonburg.com.